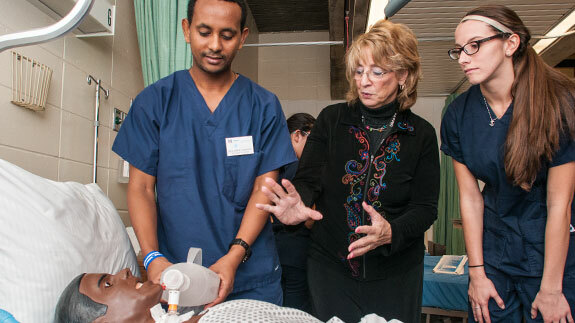 Earn an Accelerated Bachelor of Science in Nursing from UMass Dartmouth in just 17 months. You’ve already earned a bachelor’s degree and now you know your career choice - nursing. You want a program that will get you into the job market as soon as possible. UMass Dartmouth’s College of Nursing offers an outstanding option for you to fulfill your dreams. This program builds on your prior learning experiences and prepares you to become a nurse. For more information about this program, submit an inquiry through the form at the right. Visit the UMass Dartmouth website to learn more about starting your Accelerated Bachelor of Science in Nursing. Our nursing program is accredited by the Commission on College Nursing Education (CCNE) and is in good standing with the Massachusetts Board of Registered Nursing. Students can have a bachelor’s degree in any field—it does not need to be a science field. The first Bachelor’s degree must be from an accredited college or university.